Whip up this quick and healthy chicken tenders recipe in minutes. The cherry ginger glaze makes “easy” seem “fancy”. Visions of sugarplums are dancing in our heads…but dinner still needs to be on the table so that the kids don’t dive face first into the Christmas cookies while we are lying on the couch, recovering from our last trip to the mall. 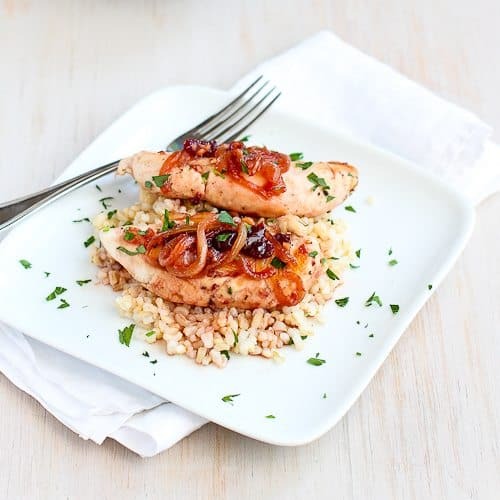 This healthy chicken dinner is a life-saver when you’re making your to-do list and checking it twice. It may look fancy, but it really couldn’t be easier. The glaze is made from cherry preserves and orange juice, and combined with a mixture of golden onions and fresh ginger. This has been a busy week (I’m sure all of you can relate). 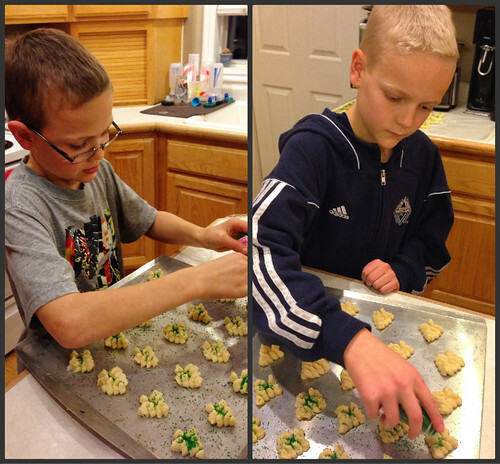 My husband made multiple batches of his great-grandmother’s spritz cookies, with help from our two kitchen elves. To make up for all of the treats that come through our door at this time of year, I’m trying to make up with plenty of water, veggies and fruit (we eat mandarin oranges by the bagful). And working in morning runs helps me to maintain a slice of my sanity. 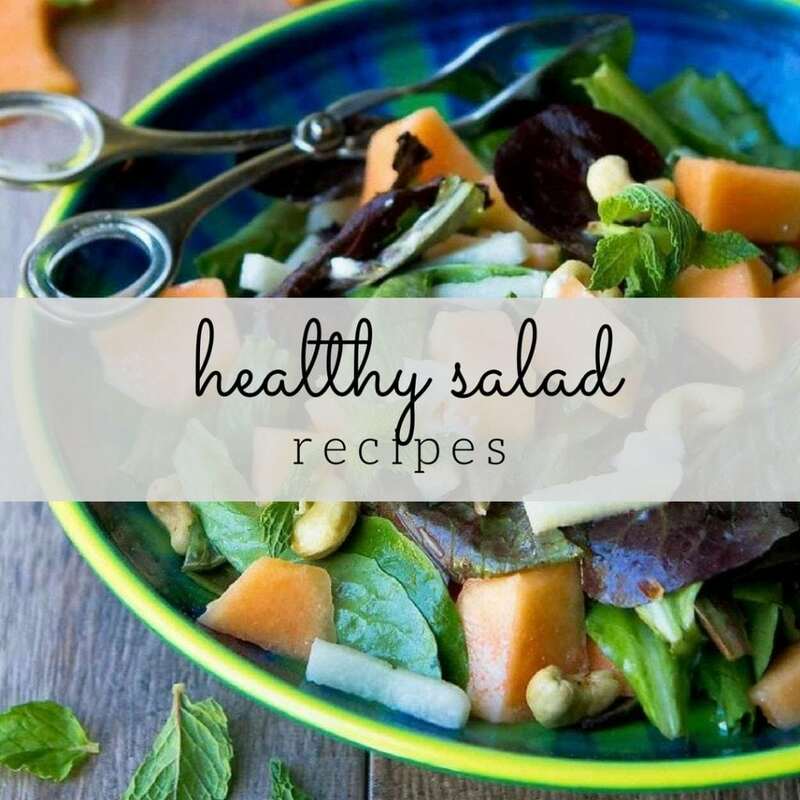 This healthy dinner, as well as some of our favorites such as Light Turkey (or Chicken) & Corn Chowder and Hearty Chicken Sausage, Roasted Pepper & Orzo Soup make regular appearances when we’re trying to balance out the sugar. 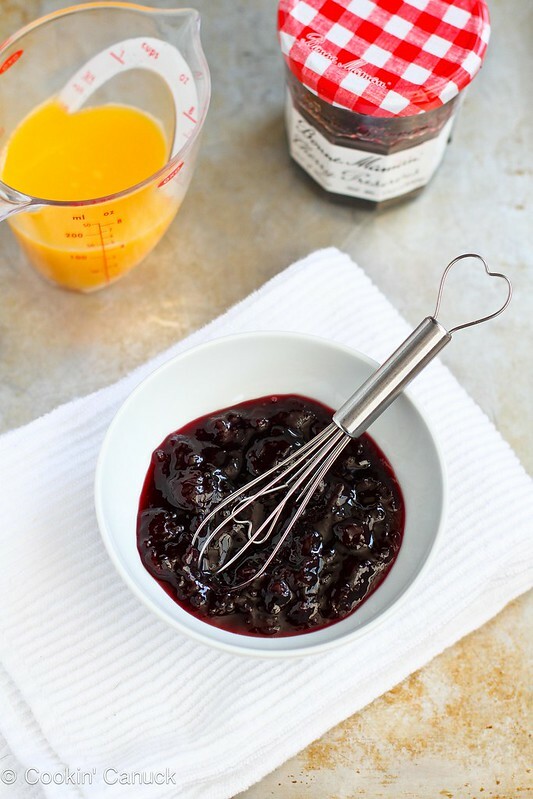 In a medium bowl, whisk together the cherry preserves and orange juice. Heat 1 1/2 teaspoons olive oil in a large nonstick skillet set over medium-high heat. Cook the chicken tenders until just cooked through, 2 to 3 minutes per side. Transfer the chicken to a plate. Heat 1/2 teaspoon olive oil in the same pan, set over medium heat. Add the onions and cook until tender and just turning brown, about 5 minutes. Add the ginger and cook for 1 minute. 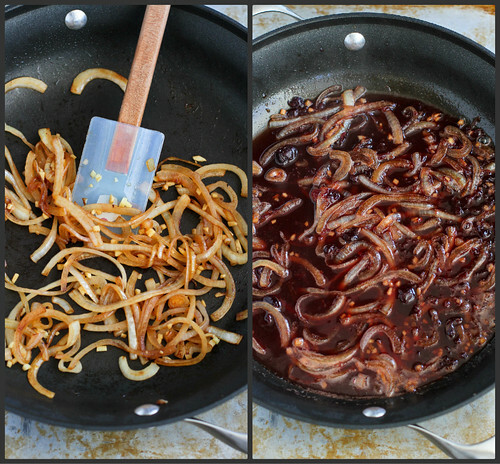 Stir the cherry preserve mixture into the onions and simmer until the sauce thickens slightly, about 3 minutes. Return the chicken to the pan and turn to coat with the sauce. Serve. Heat 1½ teaspoons olive oil in a large nonstick skillet set over medium-high heat. Heat ½ teaspoon olive oil in the same pan, set over medium heat. Add the onions and cook until tender and just turning brown, about 5 minutes. Add the ginger and cook for 1 minute. 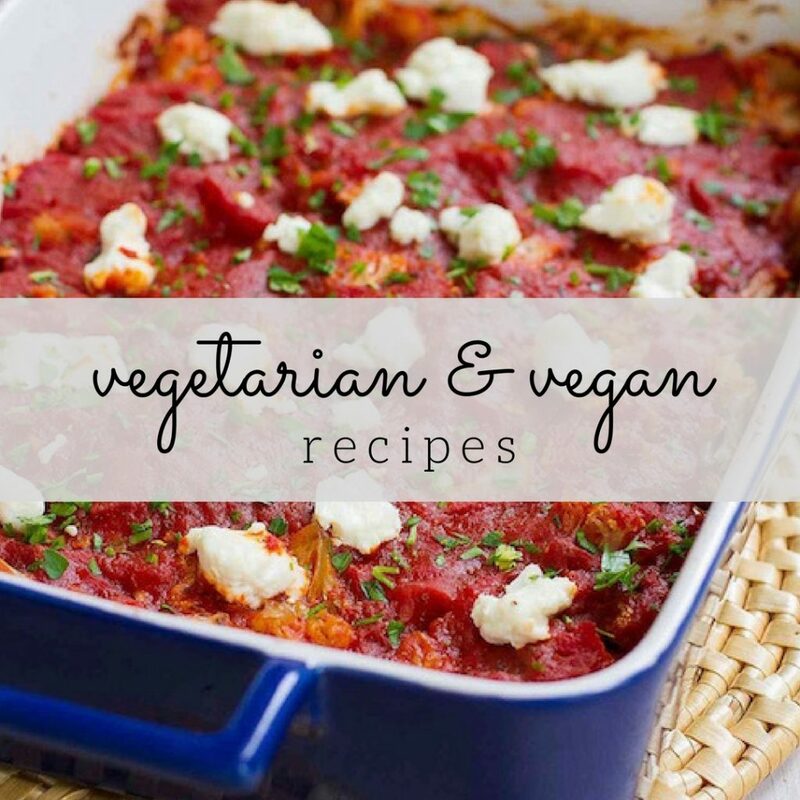 I am also totally loving this easy meal! 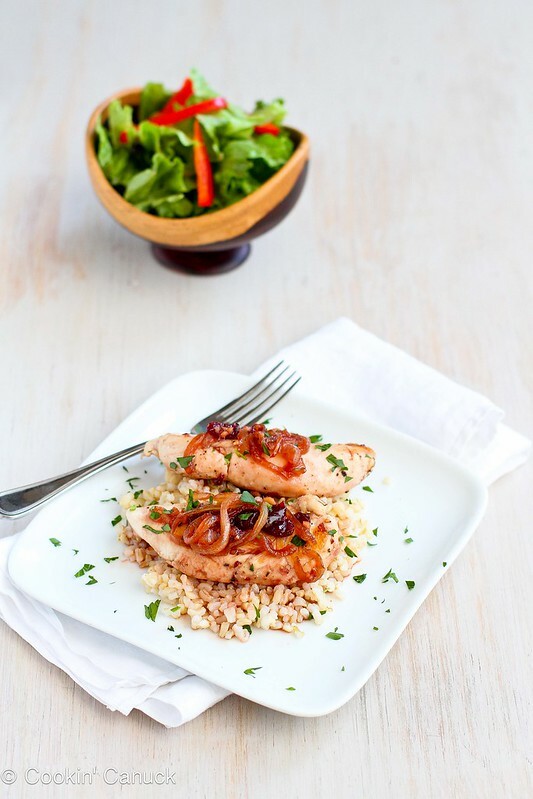 Cherry ginger glaze sounds perfect for this time of year and, if it’s healthy, I am alllll over that! Pinned! Delicious! These look absolutely amazing! I will have to try it out! These sound SO good! It’s definitely going on my shopping list this week! Sharing with the Girlfriends, too! Nice recipe. Thank you. Merry Christmas to you and your family. I never think to buy chicken tenders – what a great idea! 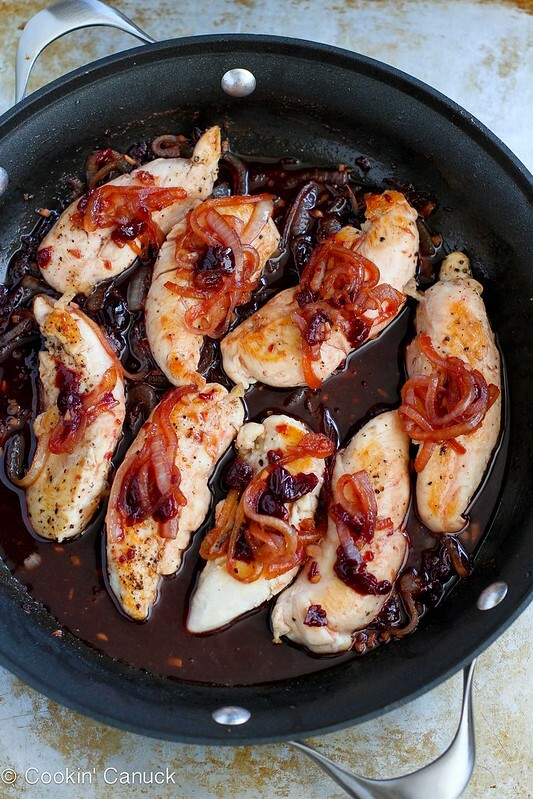 I love using jam or preserves in sauce for chicken. That glaze sounds fantastic 🙂 I can’t wait to get a taste of it! 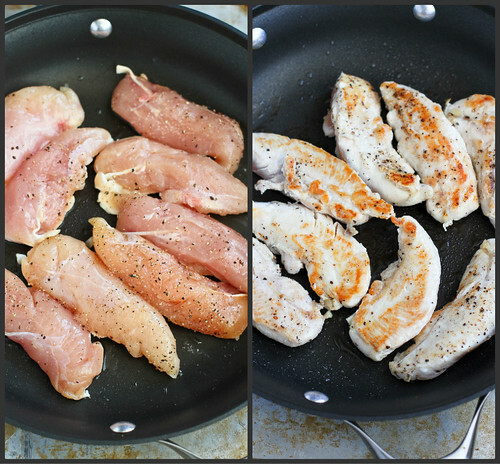 I love these tenders for a quick and delicious weeknight meal! 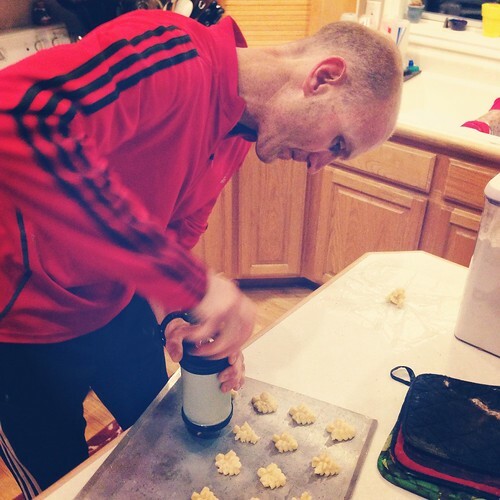 Love how your whole family is helping to bake for the holidays! 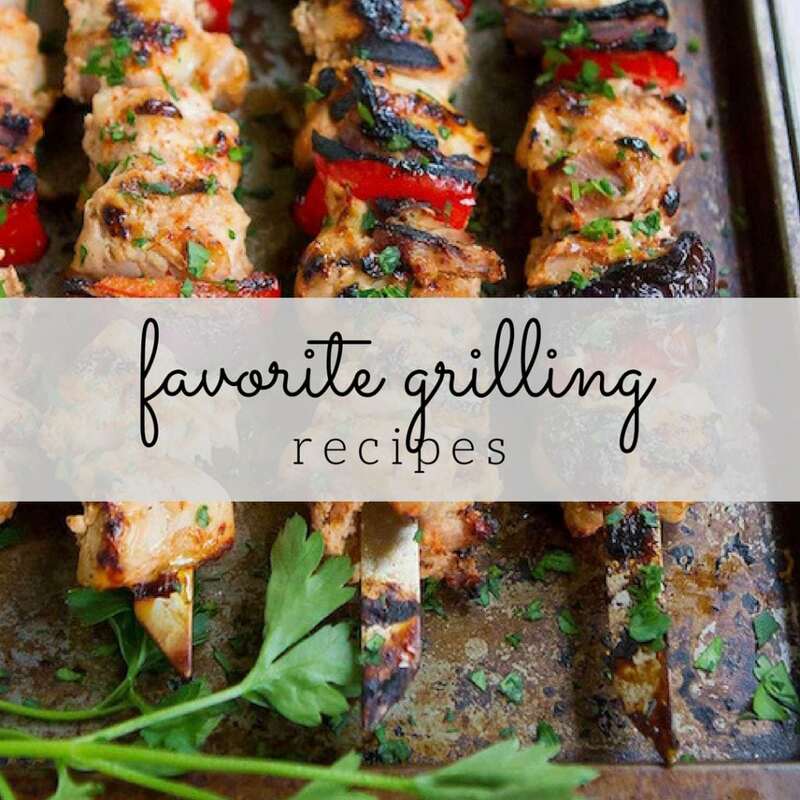 This quick and easy recipe is definitely something I could make these busy days right before the holidays! 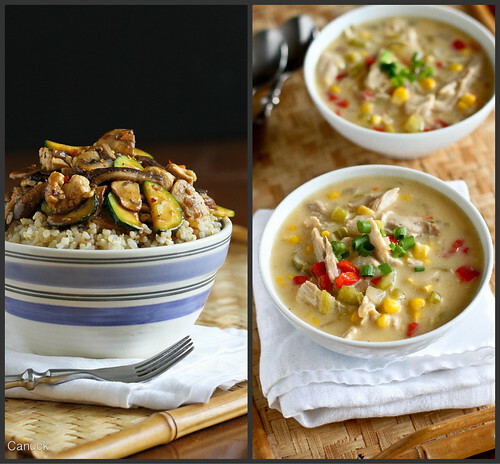 What a yummy, easy weeknight meal with great sweet-salty flavors! Love it, Dara!